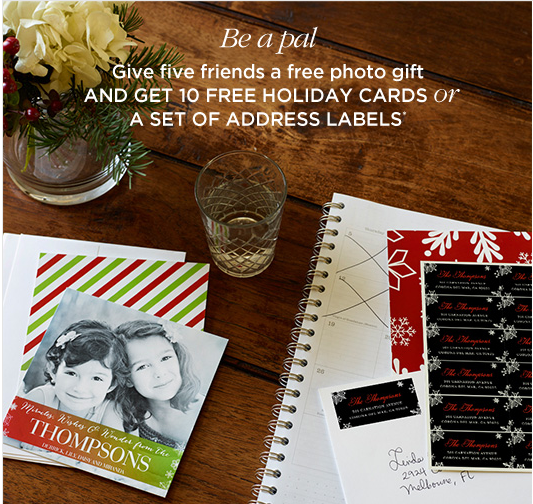 Gift: photo gifts through Shutterfly Category: Friends & Family Giveaway: $50 Shutterfly Code & Free Shipping This year has flown by so quick. I am trying to be organized for Christmas and have already ordered my Christmas photo cards and photo books from Shutterfly. The photo books were a compilation of our recent family trip and I will be sending one to each family member. Every year I wait till the Christmas decoration is up and dress the kids in their Christmas pjs for that perfect snap of their cheeky smile. However, I hate waiting as we put our decorations up right after Thanksgiving and then by the time I order the photo cards, address and stamp them we are talking mid December before the mailman gets them. 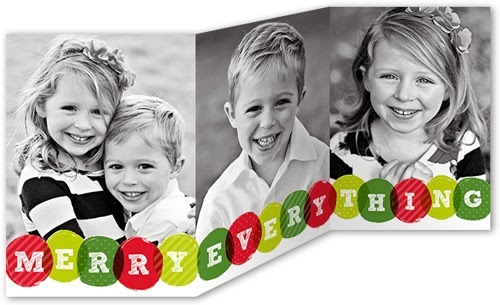 The Shutterfly 2013 holiday card collection & photo gifts includes a new 5x7 folded tri fold & back of card design. This card below won out! I love how contemporary and bright the colors are and how I could include our name on the front and it was so easy to put the card together online. I simply downloaded my pictures and then dragged them across to where I wanted them. I was also able to add a picture inside and on the back of the card and include a signature. If I wanted to be completely lazy I could splurge and get them to print my addresses on the envelopes too. 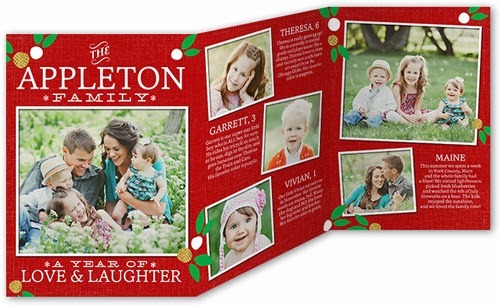 Shutterfly also offers an array of photo gifts such as photo books, calenders, photo mugs and ornaments etc.. that you can personalize with your family photos. These make wonderful gifts for your family and friends. 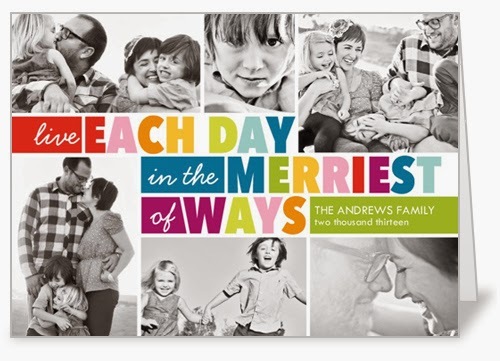 Disclosure: Shutterfly kindly provided me with a Shutterfly code and the giveaway prize to one reader for our honest review, others opinions may vary. 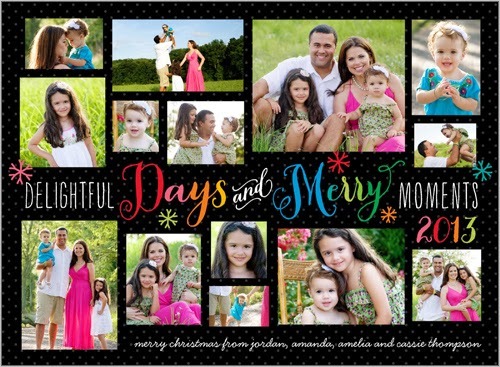 FREEBIE ALERT:150 Free prints from Snapfish! 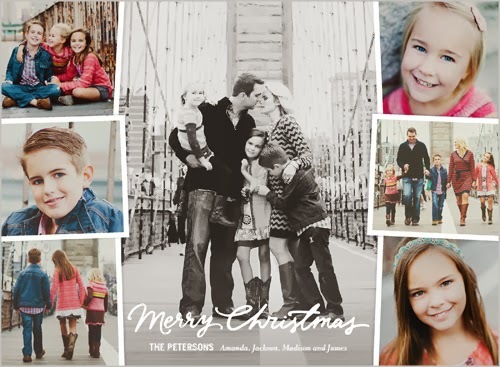 Just in time for those Christmas cards! Join Snapfish and get 150 prints for FREE - just pay shipping! Sign up here. 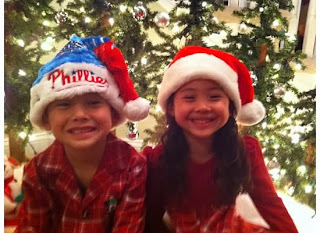 I'm going to use this freebie to print extra fun snaps of the kids and slip them into my Christmas cards!